Monkey Mountain is one of the most exotic jungle hikes in the Riviera Nayarit, located just north of Punta de Mita. Mexico's Sierra Madre Mountains feature a lush jungle with peaks so high you can see the entire bay, Punta Mita and the exquisit beaches of Sayulita. This 3 .5 hour hike is a great day of exercise, experience and views. Do not miss this opportunity if you're up for the challenge of climbing mountains for those cascading ocean views like no other. This is a pretty rigorous hike, but famililies with children as young as 7 were together enjoying a day of this spectacular scenery. My Deztination is now offering Guided Tours & Adventures in select destinations! 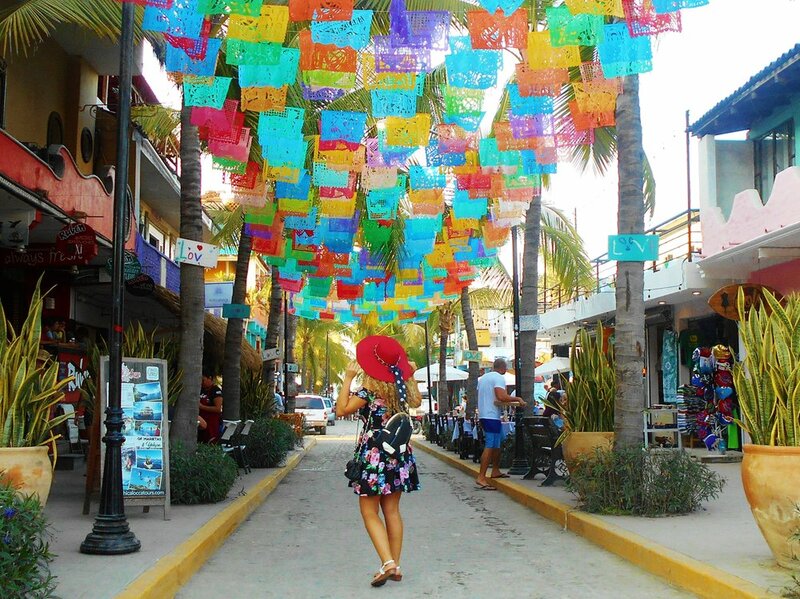 Click for a private tour of the colorful & chic Sayulita, Mexico! These hikes are on well-defined trails, however it is important to be prepared & use caution when hiking in the jungle. Wildlife – encounters with animals will be rare, but snakes, scorpions, land crabs, insects and bird life are all around. Do not touch nor feed wild animals, some are dangerous. Proper footwear must be worn on Monkey Mountain as the trails are very rocky. Please do not go off the trails as this needlessly damages the plants and upsets the ecology of the area. This is a great hike to do before sunrise, but bring a flashlight as the mountain is dark. You will need to take a taxi, uber or personal transportation to the exact location. Start your journey headed south from Sayulita on the Road to Punta Mita. Take a right at the 5km marker toward Playa Patzuaro. Be aware there are no signs. Roughly 1km further you will see the ranch for Mi Chapparita (who offers an awesome ATV experience). Just beyond you will see the road split, where you will head south (left) toward the trail that will take you to Monkey Mountain.